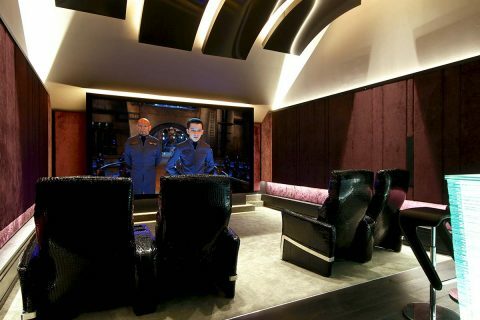 Home Cinema, or home theatre – the phrases are interchangeable (although sometimes it’s argued there is a difference) – used to be the domain of the rich and famous only. Typically, those living in the confines of the M25 in London, who had unlimited budgets, were the only ones who could afford the enormous prices once attached to such installations. Fortunately, things have changed and the cost of installation is no longer a barrier to installing your own home cinema London based or not. When launched, the DVD player was the fastest selling consumer electronics product ever, beating even the sales of CD players. DVD unlocked the potential for digital multi-channel audio, directly emulating the surround sound systems of cinemas in the home, something VHS was not able to do. On the back of the launch of DVD, many electronics companies started producing all-in-one home cinema speaker and amplifier packages. These usually comprised five small loudspeakers, for the front left, centre and right and two surround channels, and a subwoofer to reproduce the bass, but frankly most were pretty pathetic when compared to what could be achieved with a properly installed and calibrated home cinema. Hence the reason why, for home cinema London was the place to be if you were an installer. It was not a low-cost project to create a ‘proper’ home theatre, but there were plenty of people willing to spend whatever it took to recreate the Empire Leicester Square Cinema, London, in their homes. The hi-fi companies saw an opening then to create more affordable home theatre systems and products like the famous KEF KHT2005 ‘eggs’ began to appear. Coupled with a multi-channel Dolby Digital amplifier, from the likes of Yamaha or Onkyo, these speakers provided a huge step up from the bundled all-in-ones previously available, despite remaining pretty compact in size and they enabled many people to experience much better audio sensations from their home cinema. For many years though, London remained the centre for the big home theatre installations, but even this was changing as more and more affordable products started to emerge from the loudspeaker and amplifier manufacturers. But the real driving force to making true home theatre a reality for many as possible was the availability of affordable projectors. 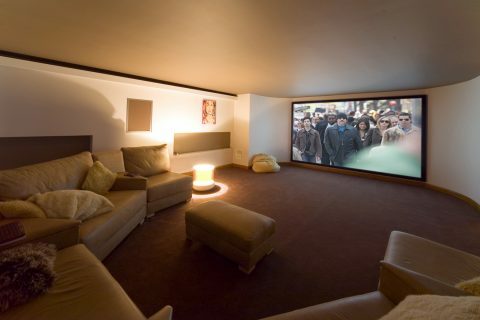 This is where some people define the difference between home cinema and home theatre – a TV on the wall is a home cinema and a projector-based system is a home theatre. A moot point I think, but maybe a convenient way of differentiating. Projectors used to cost tens of thousands of pounds, hence why most installs were the domain of the uber wealthy, but now a really good quality, ultra-high definition projector can be purchased for less than £1000. True home cinema/home theatre is now within reach of many more people. 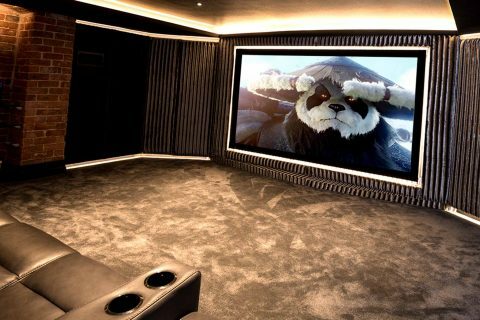 If you’re thinking of putting in your own home cinema London is not the only place where you’ll find a really good installer. We may be based in the north, near Leeds, but the road links to the home counties make installing a home cinema in London something we do on a regular basis. 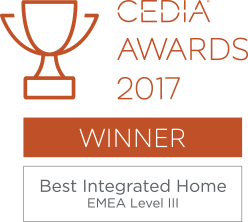 In fact, we work all over the UK, putting in home cinemas and home automation solutions for our clients who want professionally installed, stylish and state-of-the-art systems. Examples of our work in places such as St. Ives, Lincolnshire, Leeds, Kettering, Middlesborough, Harrogate and London can be found on this website. 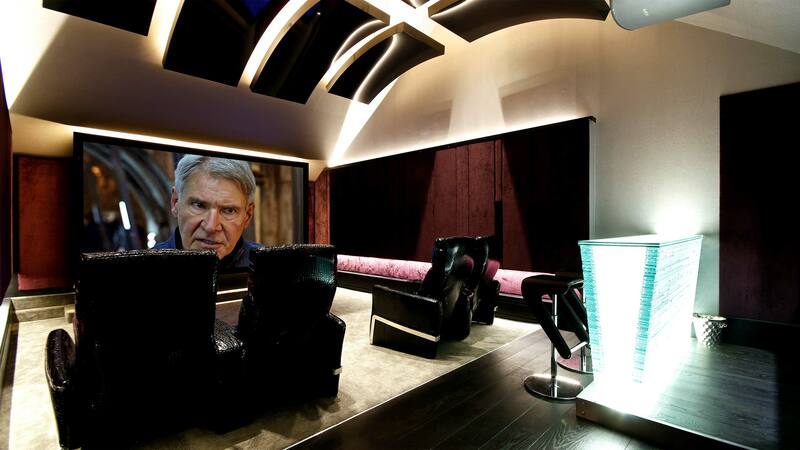 Hopefully they’ll give you inspiration for your own home theatre project, wherever you live.